BLACKBURN, England, May 3, 2010 (AFP) - Blackburn Rovers came from behind to beat Arsenal 2-1 at Ewood Park on Monday and leave third place in the English Premier League up for grabs. 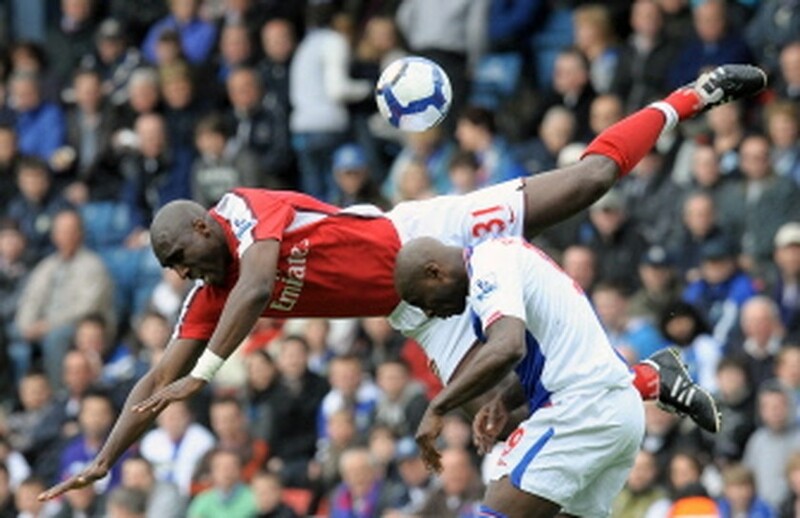 David Dunn cancelled out Robin van Persie's opener before captain Christopher Samba scored the winner to stun the visitors. But north London rivals Tottenham can now move to two points behind them if they win at Manchester City on Wednesday, meaning Spurs could pinch third place should they win and Arsenal lose in Sunday's final round of matches. "We know their weakness is balls into the box and certainly the goalkeeper of late, so we did that positively and in the end it has paid off for us with two goals and we've managed to win the game and finish the season at home with a fantastic victory against Arsenal," he said. Samba added: "It's very difficult for teams to come and win here, it's been a little bit of a fortress at home and we wanted to have the result against one of the big four." It was the Dutchman's eighth goal in eight games against Blackburn - more than he has notched against any other Premier League side. Pedersen's left-wing set-piece dropped to Ryan Nelsen. The New Zealand defender played a low ball to Keith Andrews, whose cross evaded Armand Traore, allowing Dunn to score with a simple finish at the far post. Pedersen was at the heart of Blackburn's best attacks and he was downed in the penalty box by Sol Campbell but referee Martin Atkinson gave only a corner. Both sides then went on the attack but the hosts held out to move themselves into the top half of the table and give the Gunners extra reasons to hope Spurs do not win Wednesday's clash with Manchester City.